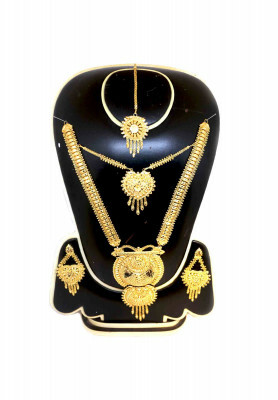 Indian gold plated sita har set, includes earrings. 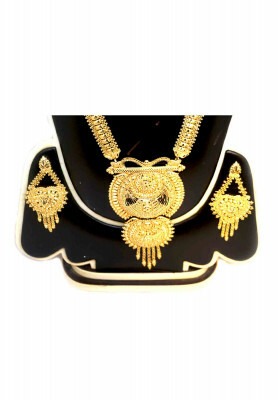 Comes with great gold plated work on all over body. Beautiful v-shaped design, best for bridal makeover. Home delivery available.